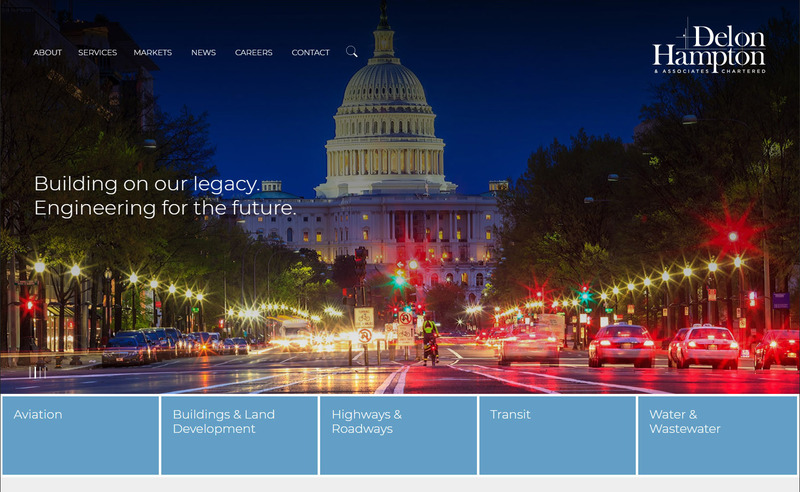 Delon Hampton & Associates, Chartered worked with Interface Multimedia for many months to redesign and modernize the firm’s website. New features to the improved site include a large project library - sortable by services and or markets; a company timeline; and featured job openings with a link to all open positions. The site is interactive and now can be viewed on major mobile devices, computers, and tablets.